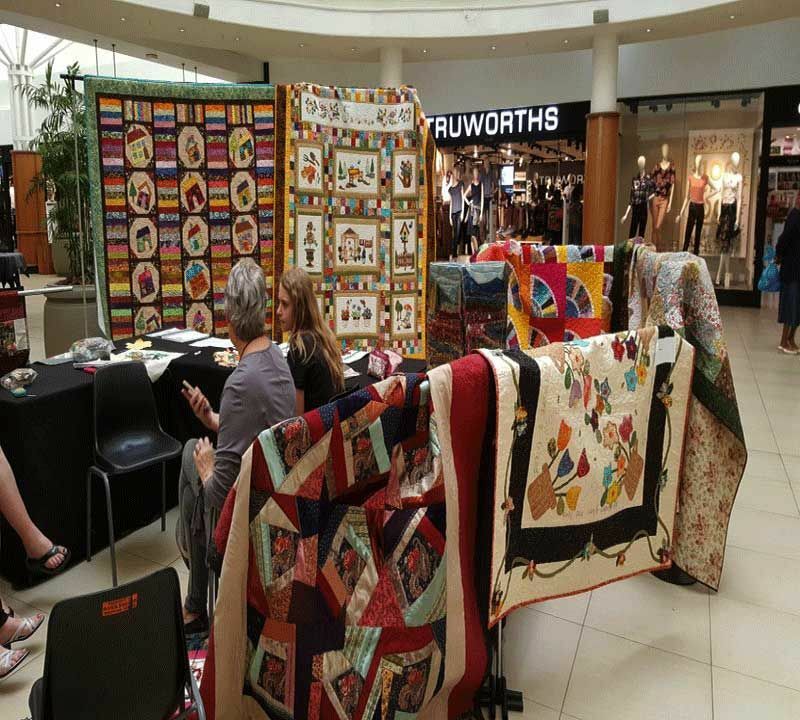 The Vaal Triangle has a small but vibrant and modern guild and we invite all quilters in the area and beyond to contact us. 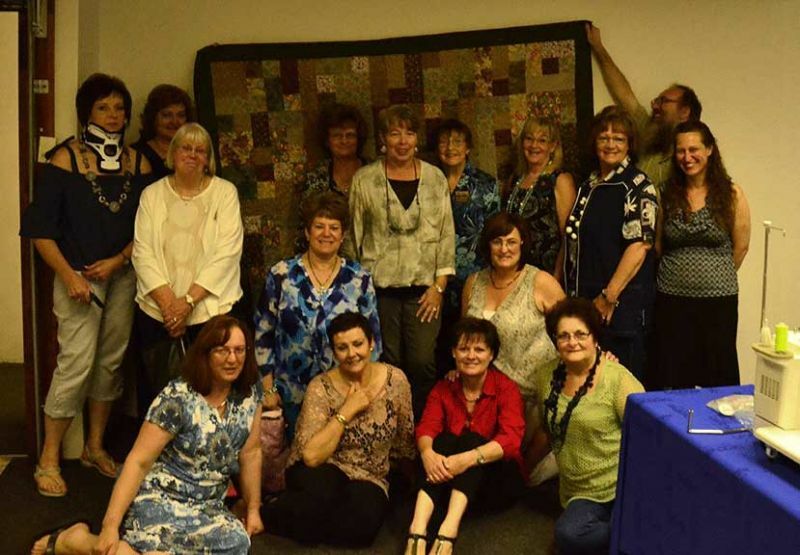 The Vaal Triangle Guild is a bi-lingual guild which was founded in 1995 under the leadership of Suzette Ehlers, one of the first quilt Teachers and Accredited Quilt Judges in South Africa. 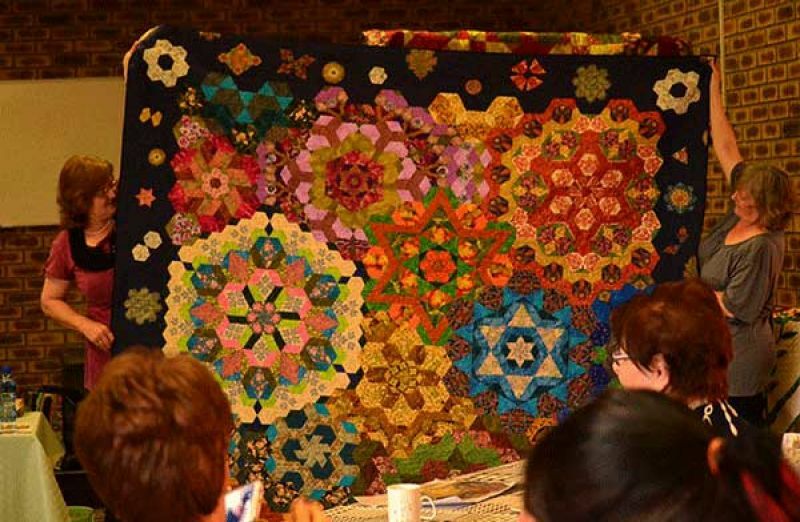 Many of our members were also founder members of the GRG for Quilters, and still belong to GRG as well. 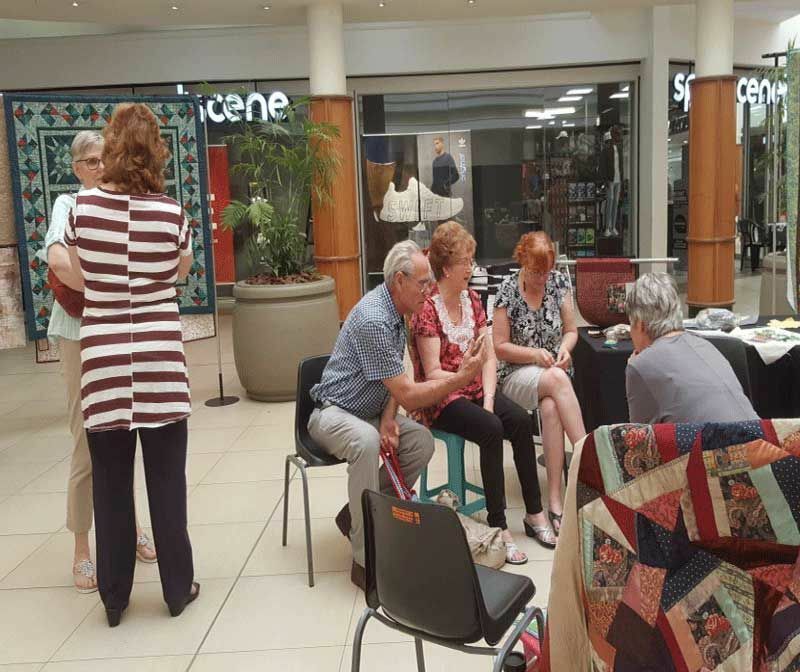 Meetings are held quarterly for our 50 members and the current membership fees are R90 per annum, which includes the quarterly newsletters. 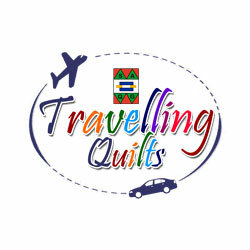 Visitors are welcome and pay entrance fee of R35. 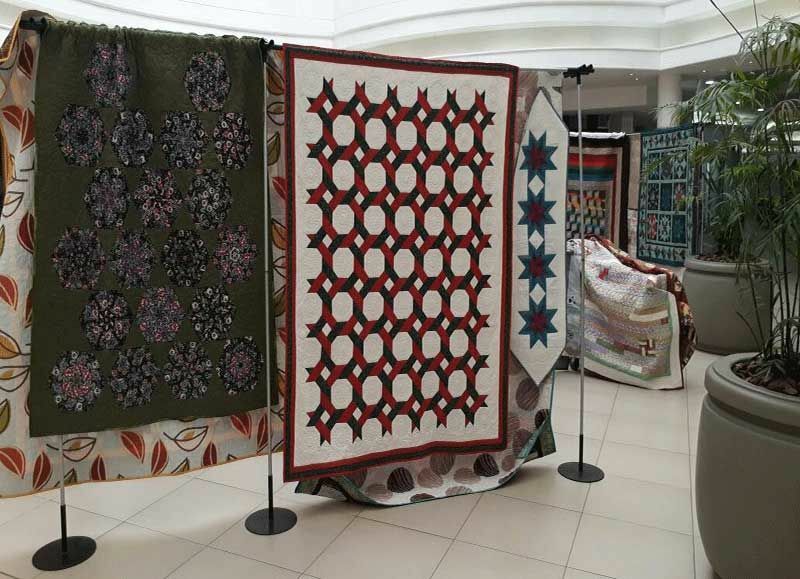 Since 1986 the Guild has had an annual quilt exhibition in the Sasolburg Public Library but due to changes in library patronage, the Guild now hosts an exhibition in the River Square Mall, Three Rivers, Vereeniging. 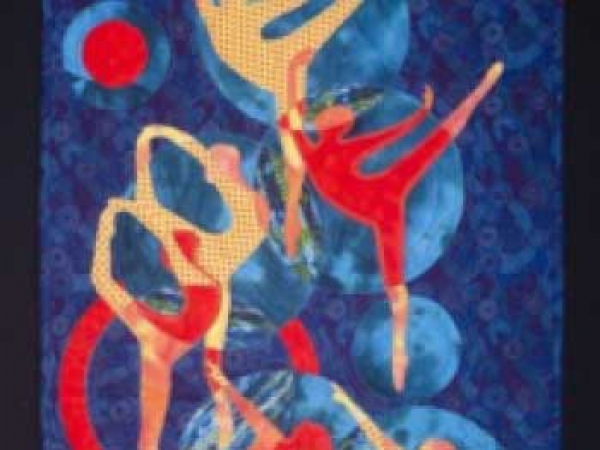 These half day exhibitions are proving to be very popular and the public look forward to seeing our work and chatting to the members. Drie jaar gelede het Flippie Grundlingh se lewe van die tydelike na die Ewige verwissel. 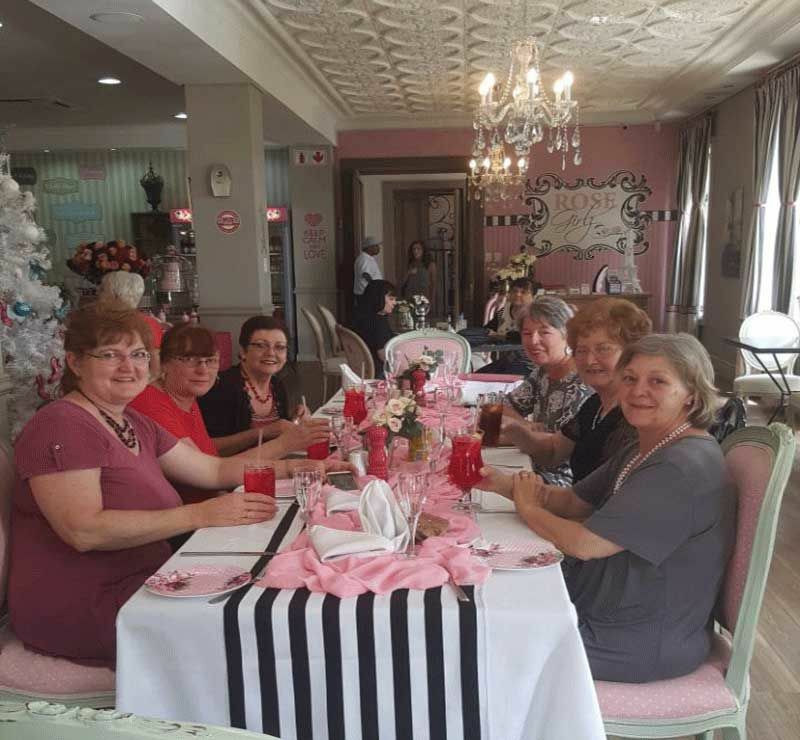 Haar heengaan het nie net ‘n leemte in haar gesin en familie gelaat nie, maar ook by haar menige vriendinne. Flippie was ‘n kunstenaar wat kon toor met naald en gare. 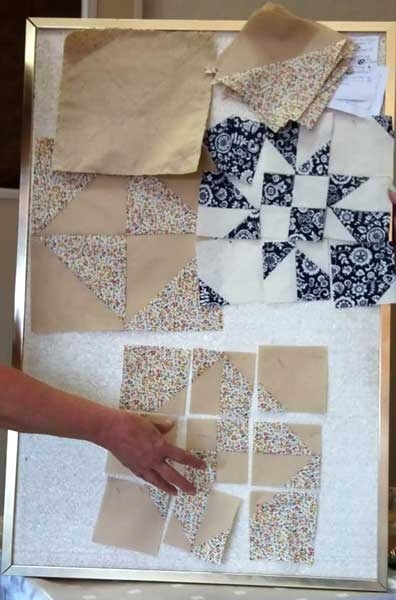 Sy het ook houtsneewerk en menige ander kunsrigtings bemeester. Haar borduurwerk was iets wat menige na hulle asems laat snak het.Op ‘n dag in 2018 daag haar eggenoot van baie jare by my op met die mees ongelooflike aanbod: al Flippie se kwiltmateriaal en ‘n lêer vol foto’s van haar werk asook patrone. 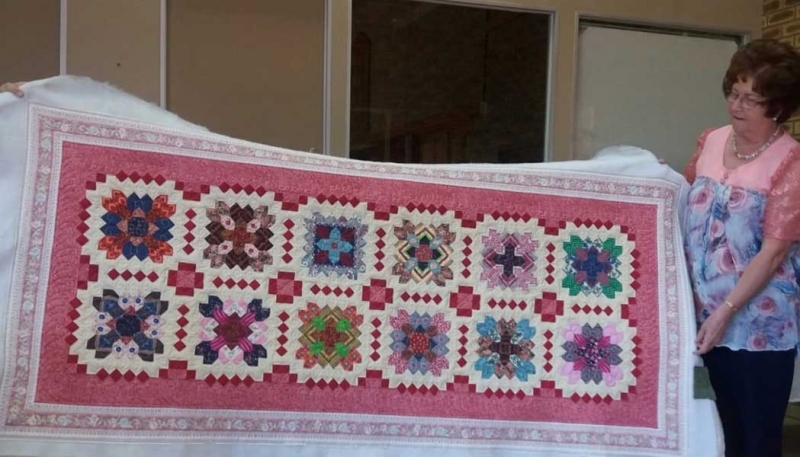 Hierdie geskenk aan die Vaaldriehoek-kwilters was ‘n hele kattebak vol! Ons opregte dank aan Alphonso vir hierdie reuse geskenk. 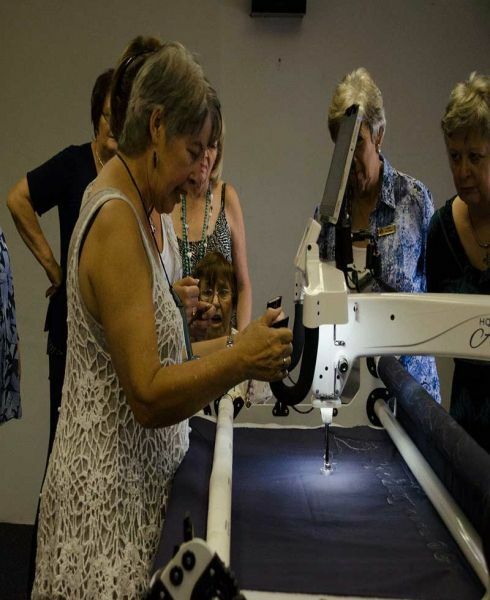 Ons eer Flippie se nagedagtenis en sal altyd aan haar dink as ons van haar pragtige lappe kwilts vir liefdadigheid maak. 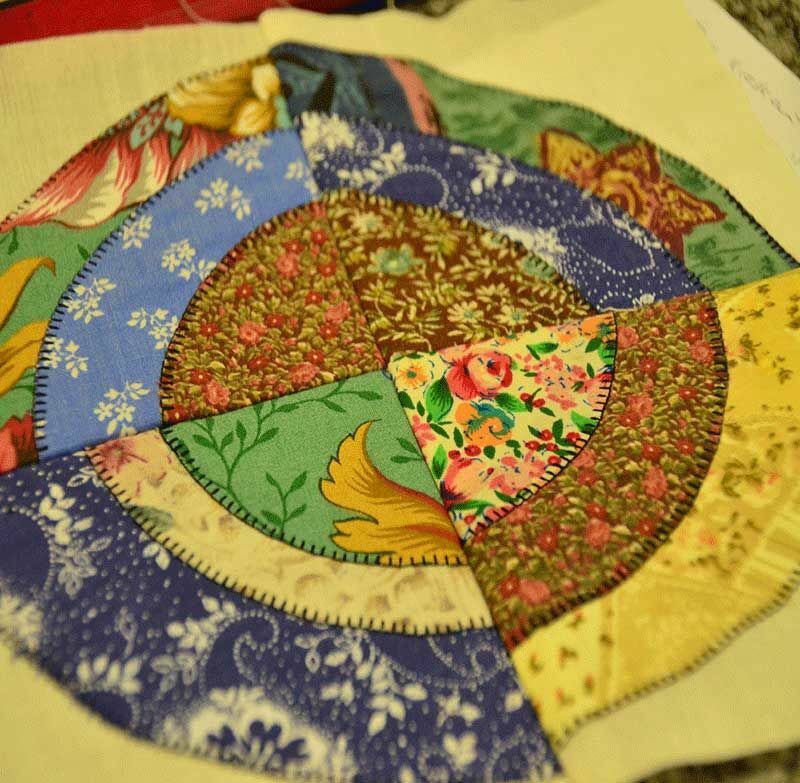 Therefore, The project for 2019 will be ‘Quilts for Charity’ on which members will be working at each meeting. 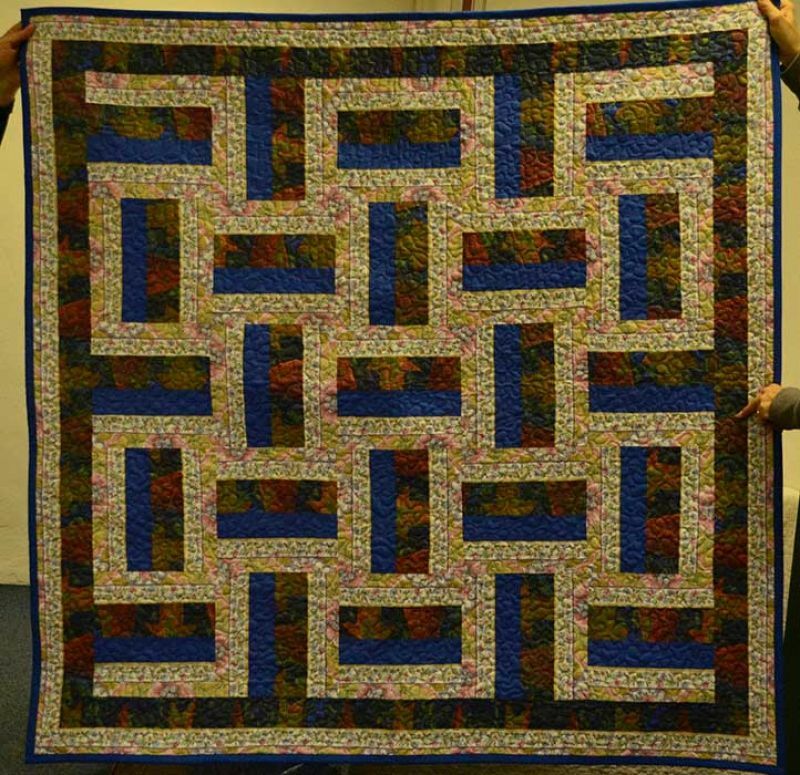 The Project planned for 2018 was to finish a raffle quilt, the income of which will supplement the coffers of the National Quilt Festival in 2019 which will be hosted by neighbouring Guild, GRG for Quilters. Raffle tickets are now on sale @ R10 / ticket. 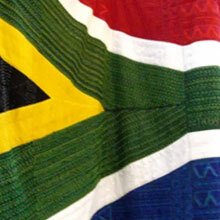 Please contact Trienie Krugel at tkrugel@mabonline.co.za for information and/or tickets. 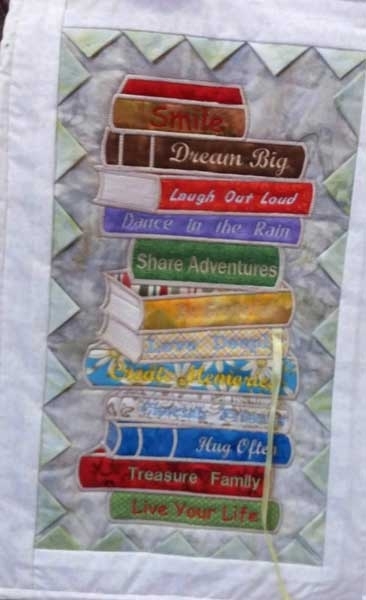 Our Guild Library is brought to every meeting and donations of quilt books are welcomed. 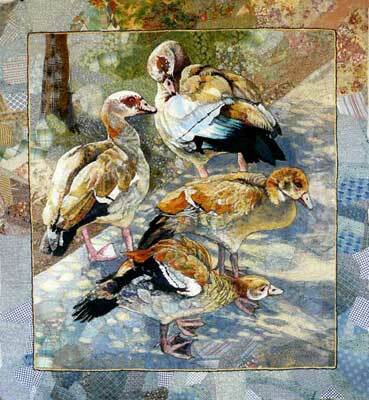 The Guild boasts 3 SAQG Accredited National Quilt Judges: Trienie Kruger, Shan Day and Elsa Brits. 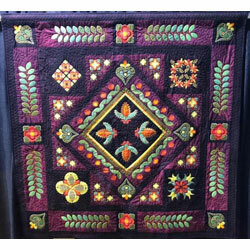 Quilt Teacher Accreditation Tutors Trienie Krugel and Elsa Brits also hail from this small Guild. During 2019 the Guild will be meeting at the Word of Life Family Church, 62 Zea Avenue, Arcon Park, Vereeniging.